Lincoln Marcus Powers, age 57, passed away peacefully at Dixie Regional Medical Center on Sept. 3, 2018, surrounded by loving family members. He was born Jan. 2, 1961, to Walter William “Bill” Powers and Barbara Joan Storrs in Indio, California. He met the love of his life, Joelle, in 2015 and they were married on April 21, 2017. Lincoln grew up playing baseball in Palm Springs, California, and graduated from Palm Springs High School in 1979. After high school, Lincoln attended College of the Desert in Palm Desert, California, where he played baseball for a year. In 1987, Lincoln began his career as a Realtor, earning his broker’s license in 1989. Two of Lincoln’s greatest joys, his children, Shannon, born in 1989, and Lincoln Jr., born in 1991, he shared with Tiffany Pfrimmer. 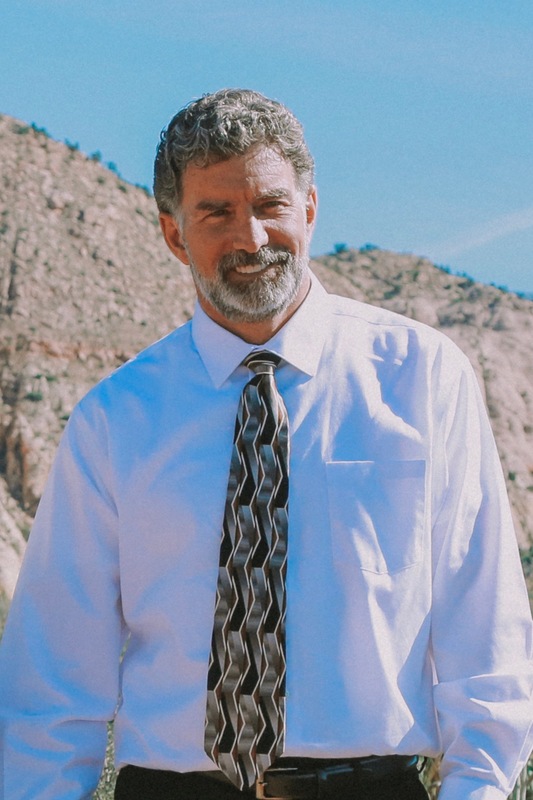 In 1993, Lincoln moved his young family from Palm Springs to St. George where they were some of the very first attendees of Calvary Chapel St. George. Lincoln continued his real estate career in St. George, becoming a co-owner of Coldwell Banker Premier. Lincoln held onto biblical truth and happily and enthusiastically shared the evidence with anyone who would listen. political debates, history, traveling and, most of all, spending time with his family and friends. He will be greatly missed. Jordan, Utah, stepchildren, Zoe (Stefan) Larsen and Zachary Hume of St. George, Utah, and Noah Hume of Annapolis, Maryland; granddaughter Willow Amargo and grandsons Oakland Amargo, Asher Larsen and Dante Powers; sisters Carol Gregory and Christine Pete of Desert Hot Springs, California, and many uncles, aunts, cousins, nieces and nephews. Lincoln was preceded in death by his parents, father Walter William “Bill” Powers, mother, Barbara Joan Storrs and two sisters Delilah Bizier and Billie Rae Powers. The family would like to thank the EMTs, doctors, nurses, medical staff, friends, family and countless others for all the kindness and devotion shown during such a difficult time. A memorial service will be held Sept. 15, at 1 p.m., at Calvary Chapel St. George, 3922 S. Pioneer Road, St George, Utah.